I call them the 3 D’s+E discounted, discontinued, dented and end of season, all friends of mine. By the end of September summer will take off for another year and seasonal reduced items are already being spotted on the shelves. Yet as fast as the shelves empty they are filled with you guessed it, Halloween décor and candy for the scary munch-kins. Yesterday at Canadian Tire almost all of their summer products were begging to be scooped up by savvy deal shoppers. Now is a great time of year to purchase next year’s vegetable and flower seeds, gardening tools, hanging baskets, lawn care products and if you’re lucky plants that need some love and care. When we purchased our house we picked up so many plants on offer at the end of the year and many of our friends are amazed at the beauty of our back garden. If they only knew we picked most of them up at a fraction of the price. Just after Boxing Day last year we were able to pick up enough outdoor lights to finish off our house. The first year we were here we picked up 4 boxes of Christmas lights for outside the house on Boxing Day at a great price of $5 a box. What’s even better was finding the same lights again this year regular price $25 on sale for $4! 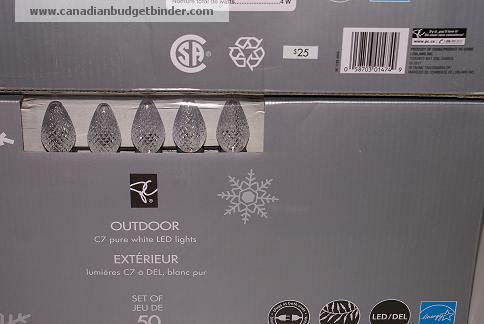 In total we have enough energy star LED white lights to light up our home outside at Christmas all for only $36! So shopping early for Christmas can be great even if it is a year in advance especially if it will help solve shopping pressures of the holiday season. Strolling around in Shoppers Drug Mart a week after Christmas we were also able to pick up bags of bows and rolls of wrapping paper for $0.10 each. I know, freak out! You can’t even buy gift bags at the dollar store for that price. Although some people wrap gifts in newspaper that they get free you still can’t even buy a newspaper for less than $0.10 that I’m aware of. If you know me you know that I like to dress well but I also like to hit second-hand shops for clothes that I know I will end up trashing in the garden or while at play. Yesterday I made my way to Mark’s Work Warehouse to see what they were selling off end of season. 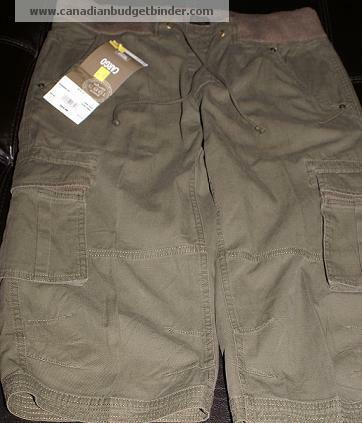 I ended up picking up a pair of green cargo pants reg $44.99 on sale for $14.99. Previously you can see they marked down products around the store week by week like these shorts $24.99, $22.99 and now $14.99. All of their seasonal clothes had multiple tags on them. You can’t beat that for a decent pair of shorts. Load up and you will be ready for next year while everyone else is out paying full price for the new line that might have a new zipper, lot number, color, button…etc. You know what I mean, grab it while you can. I’ve also been busy in and around the house this summer renovating and landscaping and looking for some great deals. Last week I was able to find a new entry door for our house with the insert being discontinued 50% off of $389 and a further 15% discount on all doors and accessories the day we bought it. We had a vision and knew what we wanted so when we saw this insert we knew this insert was coming home with us. 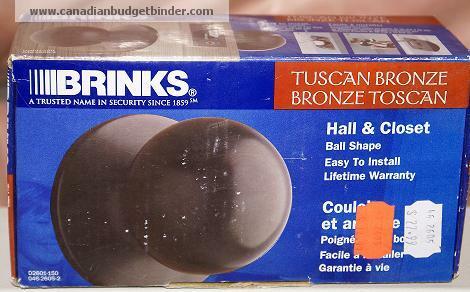 I also was able to find new Brinks door knobs for the entire house at 50% off in a Tuscan Bronze which all accessories around the house are being converted to. This product has a lifetime warranty and looks awesome. Sure we could have went with pull down pricier handles but hey, we don’t mind turning a knob, they look awesome and it was a great deal on the discounted rack. We were also able to get lock and key for some of our doors which we wanted at the same price. Our front entry door is in the same Tuscan Bronze and the set was 50% off as well. Reason for the discounted product was new packaging. This product was purchased before we bought the new door but we knew we wanted to change the door and all the knobs in the house so it was a win-win situation for us. 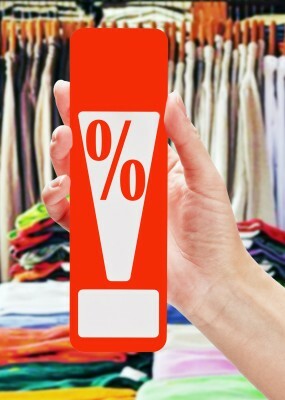 Keep your eyes open for discount racks- Almost every store we go into has a discount rack or section dedicated to products that they want to move fast out of the shop. Get to know how the different shops market these products. It may be as simple as the Pink Sticker that Loblaws stores use and people have come to know. Each store markets these products differently and with different types of tags and stickers. Read flyers for sales, end of season, closing out sales, scratch and dent and bankruptcy. Read billboards,newspapers,websites, and signs for the sale scoop. This is more about being informed and keeping your eyes open about deals in your area. Know what’s going on and what’s HOT so you get in on the best deals going. Note: Some area manufacturers may have annual blow-outs or scratch and dent sales. Ask around or call them to see if this is something they do and you may score broken cases of cookies, dented appliances, open bags of flour at a wicked price. Shop early– Right after any holiday is when we find some of the best deals. Boxing Day is one of the biggest shopping days each year where shoppers load up on all sorts of great deals. Shop early or you may end up behind 300 other shoppers waiting to get the best deal. Negotiate– Don’t be afraid to negotiate a price if you see a dented product, product that is open, or near expiry. Most shops will discount the product but only if you ask. Most of all don’t be afraid to say no and walk away. Goals- Keep an open mind when shopping but know your goals and your budget. We always like to think ahead if we know we have pending projects to do in and around the house. When we shop we keep in mind items that may help us with our projects especially if the price is right. I do caution about buying items too early for projects as you may struggle to return them if they are not what you want especially if they are discounted, end of season or blow out pricing. Document– Keep a book of measurements and ideas handy when you go shopping. I like to keep a notebook with all the measurements and items I know I need to buy for the house or vehicle. There’s nothing worse than seeing a product that is an amazing price but you don’t know if it will fit. The minute you walk away someone else wills scoop it up. You could easily buy it and return it right away if it’s not the right size but why waste time and gas. Time is money remember and gas is eating up the budget as it is. Time your purchases, plan ahead– If you know you want to outfit your house with Christmas lights plan ahead each year. Being on a mission to find those lights and ornaments early so next years display will be one step better than the next is smart spending. Package/Product Redesign– Watch for product package redesign. We see this all the time in the shops with food especially. You walk into some shops and they have shopping carts full of products they want to get rid of because of new packaging. How many times have you seen shampoo bottle redesigns or make-up discontinued because the new shimmer shades are what’s hot. 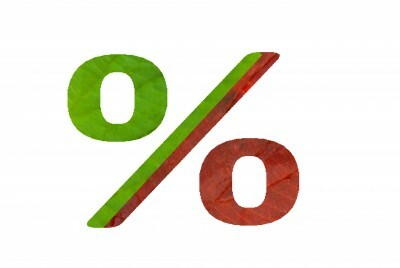 Coupons– Use coupons with the reduced price on these items for an even bigger discount. Loyalty- Don’t be brand loyal, research other options so you are prepared to do product price comparisons. If you always go with $200 jeans because they are name brand don’t be shy to go with other name brand or no name jeans that are just as good but cheaper on the wallet. Especially if you find them on the discount rack. Competition- Watch for fierce competition between shops online and in-store. Innovation started yesterday and that means manufacturers already know what their next step is years in advance. Watch for new products that jump out onto the market and keep watch as prices lower as competition drives the shops to drop prices. Tip: With technology in with the new and out with the old happens faster than you can shake a stick. Be cautious when buying discontinued electronics, televisions etc as you may struggle to find parts or anyone who can repair your product if needed. It’s best to research everything you want to purchase especially if you plug it in. What other ways do you save money on Discounted, Discontinued, Dented and End of Season products? 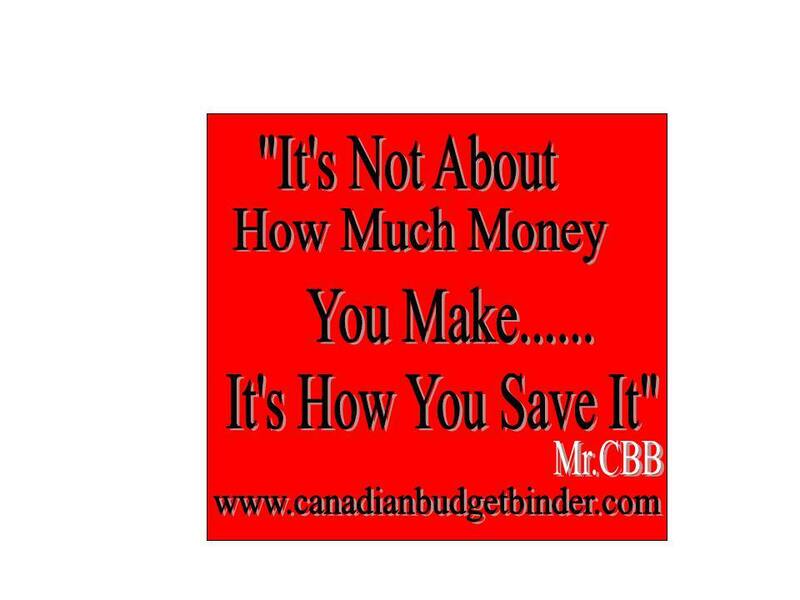 If you are new to Canadian Budget Binder LIKE or Follow Mr.CBB on Twitter, Facebook and Pinterest or you can also sign up for email notifications here. At my local grocery store, they have organic produce on clearance EVERY DAY. So we go a few times after work and pick up some stuff for dinner and cook it that night. We eat awesome and the store is on the way home so we don’t have to go out of the way! Wow, we’d do the same. We go early in the morning or late at night and score some great deals on veg. As always another great blog post. I agree with the others about the door insert, it is beautiful. I try to look for discounts when I can. I’ve been trying to buy some clothes for my daughter towards the end of the season when they have been reduced multiple times in a size larger than what she currently wears, so that she can wear them the following year. When the Walmart in the city I work in was moving from it’s location to a brand new superstore location (which is just down the road from work yay!) instead of transfering everything over to the new store they sold off a lot of stock at extremely discounted prices. I got some really good deals. I got a bunch of cartridge games for my daughter’s leapfrog game for $5 each which regularly sold for $40 or $50 each, and a bunch of puzzles which I used a couple of months later for party favours for her birthday for $.50 each normally $4.99. I love buying “slightly damaged” or out of season! And negotiation is key….it’s amazing how much you can save. The only thing I wouldn’t do this for is food…even if they’re packaged. Loved the blog….I’ve been doing a lot of that kind of thing for years!! I remember the year we debated about getting a real tree to replace the fake one we had…. that lasted until I priced the stands, so I just waited until the boxing day sales and got a really nice big one for half price at Canadian Tire. That was my favourite place to go after Christmas when our kids were young… I would get birthday toys then for half price. The birthdays were Feb., April and July so I sat on that stuff until needed. I’ve already mentioned my Santa Sacks for wrapping. I got some nice t-shirts for our daughter at Zeller’s that will be Christmas… depending on the style they were $15-20 each for $2.10… among other goodies that day. The end of season sales are such a great deal. My Mom used to work in retail and I got advance notice on the really good sales…..
I’ve gotten various deals over the last year by sifting through bins of discontinued items or discounted items – a lot of them at RCSS or Shoppers! I was able to get Febreze just last week on a clearance rack at Shoppers for $4/bottle, minus a couple of coupons I had. Reg price there was over $9/bottle & with coupons, I got 3 bottles for $8 total! I think a lot of people tend to avoid clearance racks, as they might be perceived as junk piles. However, like you stated, a lot of the time they’re name brand products just with packaging changes or with expiry dates approaching. We freeze a lot of meat products here so if I see those pink sticker items at RCSS and it’s something I know we’ll eat up, I always scoop it up!! 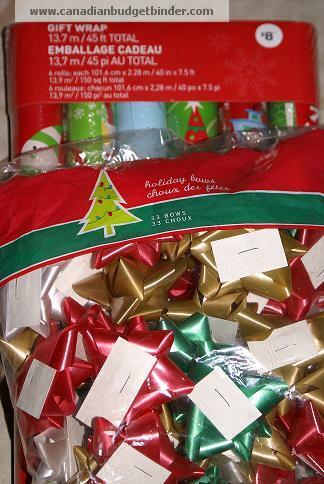 Lastly, I too found a ton of discount/blowout wrapping, bows, etc at Shoppers & Walmart last year – pretty sure I won’t need to buy any giftbags, holiday cards, ribbon, etc for at least 2-3 years! Thanks for the great post!!! Your entry door insert is gorgeous!!! I love it! Wish I had one that looked like that 🙂 I love to save money the D, D, D & E way!!! I have negotiated before as well. I remember about 6 years ago I found a painting I loved in Winners and it had a small scratch on the frame. I asked a manager about a discount and I got 40% off. It’s not even noticable! I also negotiated a 10% discount off my hair straightener a few years ago. I get a lot of fantastic deals on blowout at RCSS because my MIL sees people go through the cash with them and then lets me know. I’ve been able to get really cheap diapers, wipes and formula because they were put on blowout when they changed the packaging. I got 40 AA batteries for $3.44 last week on blowout. In the past I’ve gotten table cloths for $.25, jeans for $5, so many deals I can’t even think of them all right now! If you ever require a driver for your RCSS trips please ring me!!!! Thanks we love the door as well but I’ve been working on it for a bit now. I’m hoping to get it done tomorrow. Many people are too shy to ask for discounts for fear of looking cheap.. me.. meh.. who cares! Cheers darlin Mr.CBB…. what about my shorts…what did you think of them… I was happy to find them at a great deal. hahaha a pirate.. that’s a first I’ve heard. If you don’t know already I’m British and although I would love to change the person I am it’s not going to happen. All my Facebook fans have come to understand they may not understand but still enjoy taking the piss out of me. haha.. I’ll check it out when the email comes for sure. Cheers Mr.CBB If you ever want to guest post here let me know… you can read my guest post guidelines on my home page..
You’re welcome and I replied back haha. We always buy discounted items. About 2 yrs ago we bought enough Xmas wrapping paper for about 5 years for 90% off. We also buy a lot of groceries discounted…milk with a couple of days left before expiry. Recently we bought 2l cartons of milk for .49 We freeze what we won’t use right away and it usually last about 5 days after the best before date if it lasts that long. Meat with a day or 2 left and again we freeze what we won’t use right away. We bought corn beef for .99 a package while usually you see it in the stores for 7-10$ a package.